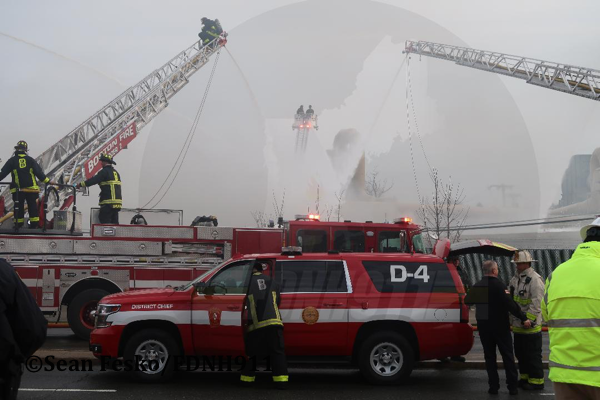 On 3/15/2019, Boston Fire Alarm struck a box for a reported fire on the roof of a large building at the northeast side of the city. Companies initially had fire in an HVAC-type unit but quickly discovered the fire had spread along the roof line and above the sprinkler system. A trench cut was attempted to stop the spread but was unsuccessful. 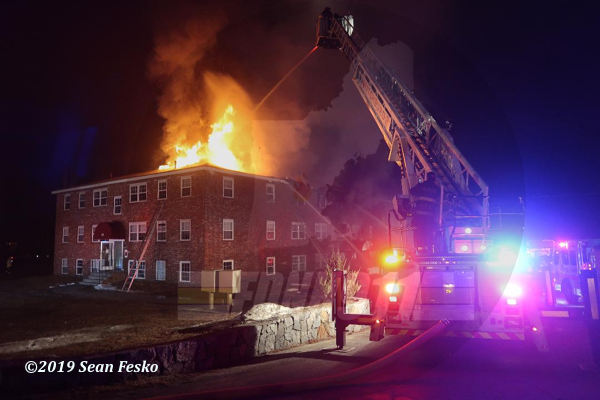 Due to the size of the building, which was home to the New England Casket Company, accessibility problems, and water supply issues, a second and third alarm were struck within 30 minutes. Companies fought defensively and on air due to the various solvents housed in the building. As the fire progressed, BFD Commissioner Joe Finn assumed command and struck additional alarms and special calls, including the city’s second tower ladder to respond out of district. 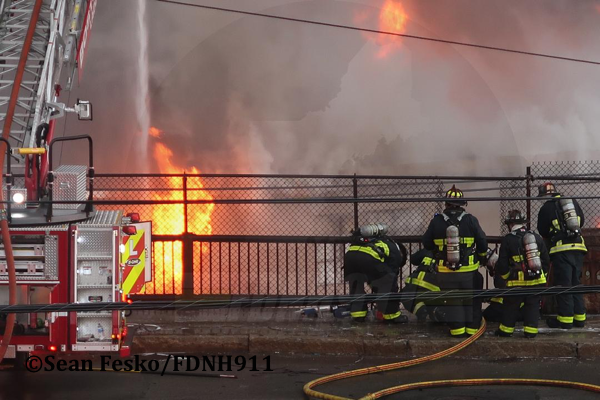 As conditions worsened and smoke spread throughout the area, the decision was made to shut down the MBTA Blue Line, which ran near the fire building, and utilize the reverse-911 system to evacuate the Orient Heights neighborhood. 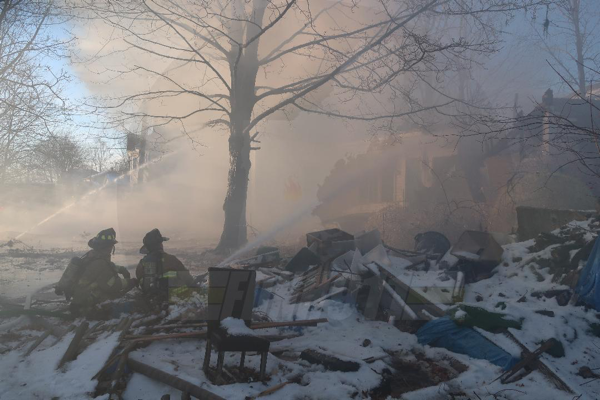 Companies initiated foam operations and dealt with a significant ember problem; additional engine companies were assigned to the neighborhood to minimize exposure damage. In all, nine alarms were struck with multiple special calls. 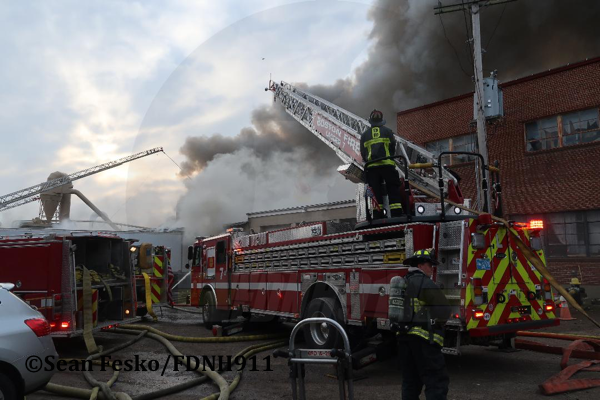 By 11pm some units were released, but the department remained on scene throughout the night chasing hot spots. The building was a total loss. 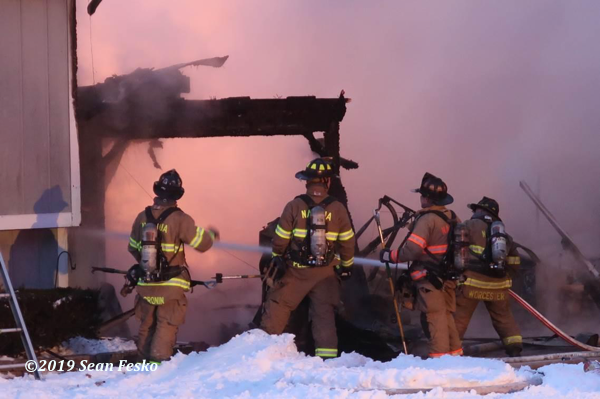 In the early nighttime hours on 2/4/2019, Townsend Fire (MA) was alerted to a fire on Fitchburg Road, just down the street from fire headquarters. 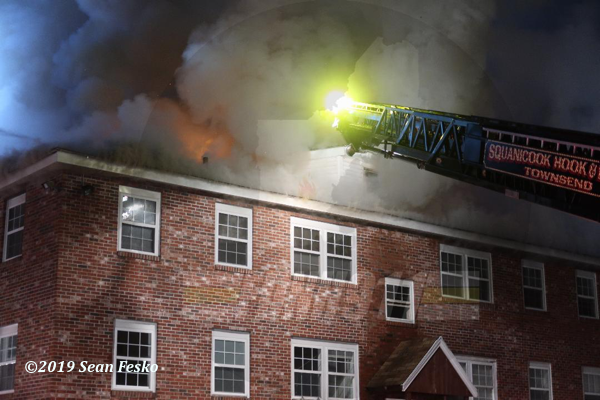 On arrival companies had heavy fire showing from a four-story brick apartment building and struck quick second and third alarms, bringing mutual aid from both Massachusetts and New Hampshire. As companies began their attack, conditions deteriorated with fire coming through the roof. 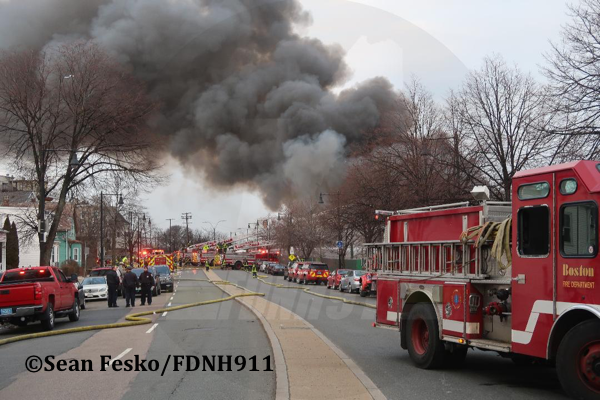 A fourth alarm was struck and companies were ordered out of the building. Multiple aerial master streams were used to fight the fire defensively. Crews remained on scene throughout the night. 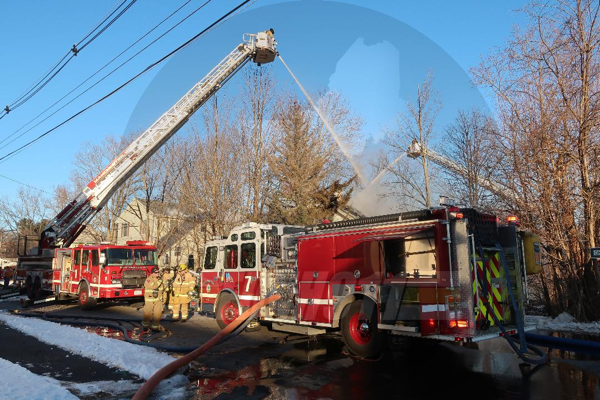 On 1/12/2019, the Manchester Fire Department was dispatched to a fire on Tarrytown Road. First-due companies had heavy fire in the attic of an abandoned building and companies were ordered into a defensive operation. 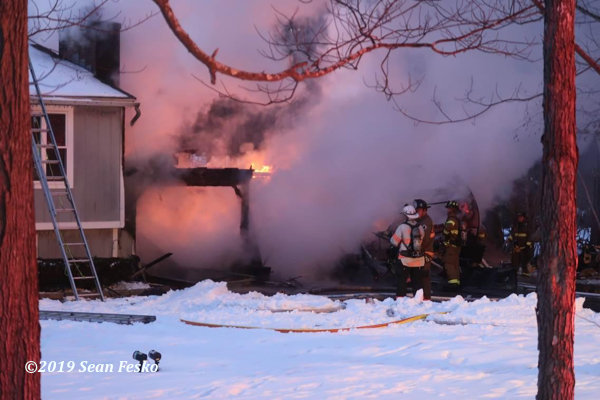 The building eventually became well-involved and an additional engine company was dispatched to the scene. Firefighters knocked the bulk of the fire downing about 30 minutes.